A printing company and a nonprofit think they’ve found a solution to global poverty: 3D-printed houses. But activists warn the solution might not be as simple as it sounds. New Story, a charity dedicated to providing shelter for impoverished and distressed communities, and printing company ICON collaborated to design a house which can be built with a 3D printer in under a day for about $4,000. 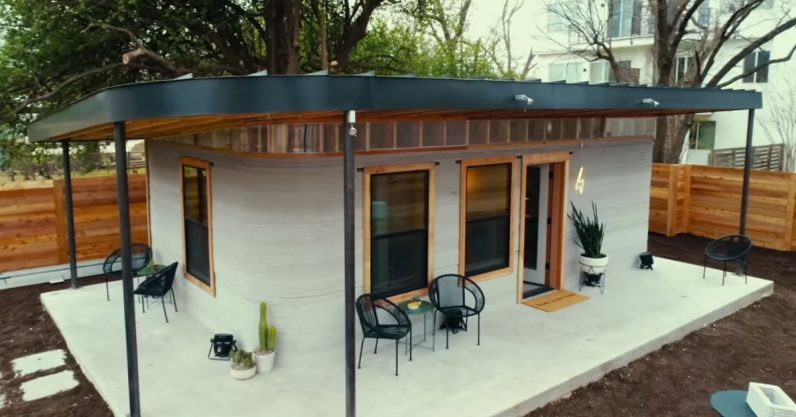 The 3D-printed house made its debut during this year’s South by Southwest. ICON says it has built other prototypes, though this is the first one it says is actually livable. The house is roughly 600-800 square feet. New Story reports that its first projects will be in rural areas of Central America, but the simplicity of the house begs the question: is it a solution that could help alleviate poverty in major cities — for example, in the US? According to a 2017 report by the US Department of Housing and Urban Development, the number of people experiencing some form of homelessness in the United States was about 554,000. Half of those people are concentrated in five states – in case you couldn’t guess, California has the highest number at 25 percent. The technology behind the house itself isn’t new. Last year, San Francisco-based company Apis Cor printed a much larger house in 24 hours using almost identical materials. That house cost just over $10,000. At the time, the company boasted the world’s first mobile 3D printer, capable of being easily moved. ICON co-founder Jason Ballard said the company’s 3D printer can be moved by just two people, with a few more assisting the construction. He also said his company expected the house’s energy and comfort level to exceed traditional building standards, thanks to special materials and patterns. One of the first to propose the idea of a 3D-printed house was Professor Behrokh Khoshnevis of USC’s Viterbi School of Engineering. In 2012, Professor Khoshnevis gave a TEDTalk in which he posited the idea of whole neighborhoods being built entirely by printers working from a program. There are multiple problems with the idea, on a technical level. MIT Technology Review pointed out that the notion that printers will reliably turn out houses is a bit blue-sky, as the idea has been around for years and either the printers or the houses always run into hardware problems. I just think the idea of something different like this is really innovative… of course, being a developer, there’s a lot of issues that come to mind in terms of building code laws. Any time I’ve seen an alternative or optional form of building, the codes cities have would eliminate this type of construction. I’m sure these places are decent, but your surroundings are important. Just living in a concrete place that was built by a 3D printer — it might be a great first step, but do you really want to raise your kids in a place like that? The big thing about our 3D-printed homes is that we are not building temporary solutions. Where there’s absolutely a need in some areas for temporary shelter, we build communities that will ideally last for generations. The proof is in the 3D-printed pudding.